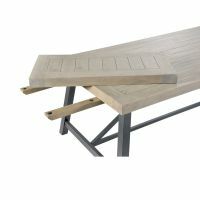 Designed to add extra dining space to both sizes of dining tables in the range, the Hulstone Industrial Extension Leaf is the perfect space saving solution. Each leaf adds an additional 45cm to the length of the table and are designed to sit on extendable runners, hidden underneath each table top. 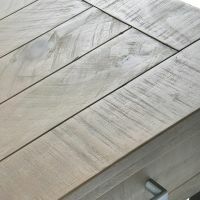 Crafted from reclaimed rough sawn pine, the extension leaf has been given a grey wash tint lacquer which enhances the unique imperfections of the wood to match the table top.